Our Eastchester Pest Control Exterminator will identify the source of the pest infestation & create a customized treatment plan to eliminate the pests. 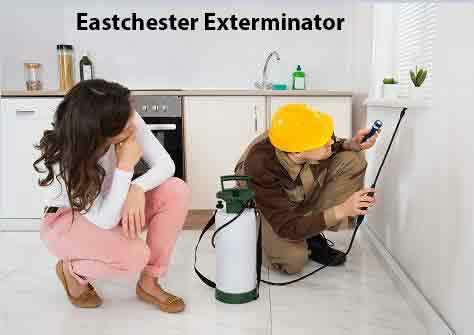 Let us be your Eastchester Exterminator that you can Depend On, Give Us A Call Today. 1-844-305-8999. The most common species of ant found on the pavements of Eastchester NY are the Pavement Ant. Pavement ants are easily identified by the narrow, parallel grooves on their heads and thoraxes. The Pavement Ant has a taste for human food, more than other ant species and are found primarily in parks and around your property and home. Pavement Ants are about one-eighth inch long. They generally make their nests in pavement cracks and are also capable of infesting your home and property. Let our Eastchester Exterminator eliminate your Ant Infestation, Give Us A Call Today. Nearly everyone is affected by mosquitoes during the warmer months of the year. Health officials in Westchester County NY say mosquitoes in the area have tested positive for West Nile virus. Mosquitoes are out in abundance this spring and summer in Eastchester NY, and their populations will continue to expand throughout the season if left untreated. These pests swarm at outdoor events and breed prolifically in stagnant water from bird baths to discarded tires even puddles from the latest rainfall. If you notice you have mosquitoes or would like to have an inspection, Give Us A Call Today. Our Eastchester Exterminator has the know how to eliminate your Mosquito Infestation. Bed Bugs are back and infestations in Eastchester NY become a problem for homeowners and businesses. Bedbugs can hide in upholstery, and they can enter your home or business on your suitcases or clothing, they are very efficient hitchhikers. Once bed bugs are introduced into your home, they often spread from room to room throughout your home making them very hard to get rid of. At Dependable Exterminating our Trained Bed Bug Exterminators specialize in total Bed Bug Elimination from your home or business. If you notice you have Bed Bugs or would like an inspection, Give Us A Call Today. We offer Visual Inspections and K-9 Inspections.